NASHVILLE, Tenn. (May 16, 2016) – Hank Williams Jr. will light up morning television when he appears on NBC’s “Today” show with his daughter Holly Williams to talk about their ‘family tradition’ in the music business this Wednesday, May 18th. Hank Jr., who recently released his 37th studio album It’s About Time, joins his daughter Holly for a sit-down interview and impromptu acoustic performance for Jenna’s “Family Business” series. Hank Jr. invited the “Today” show to Nashville where he opened up about his new album It’s About Time and the dynamics of his children, including his daughter Holly, pursuing their dreams in the music industry. Hank's latest single, "The Party's On" is now on country radio. It’s About Time (Nash Icon Records) achieved the highest peak position of Hank Jr.’s career with a No. 2 position on Billboard’s Top Country Albums chart when it was released Jan. 15. 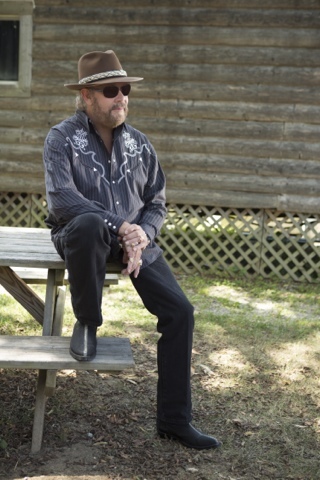 Fans can keep up with Hank Jr. by visitinghankjr.com, Facebook,Twitter and Instagram.